The fall fishing is still happening. 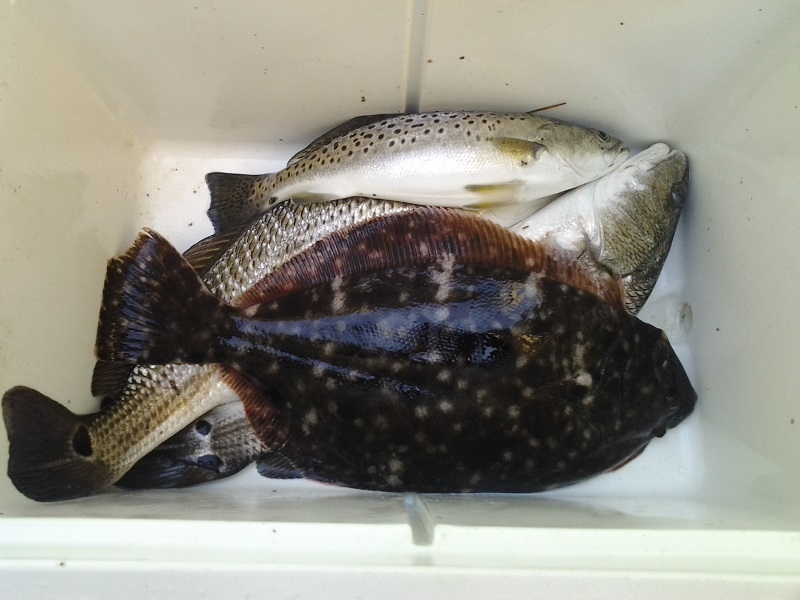 With temperatures staying mild the fishing is still hot. In the ocean, lots of albacore on the beach and a few king mackerel are still hanging around the reefs. Inshore the trout bite is hot, but most fish are just under the 14" legal size limit. There are also some red drum and a few flounder mixed in on the trout catch.